The planner to match your ambitious lifestyle. Organize your day and achieve your goals like never before. 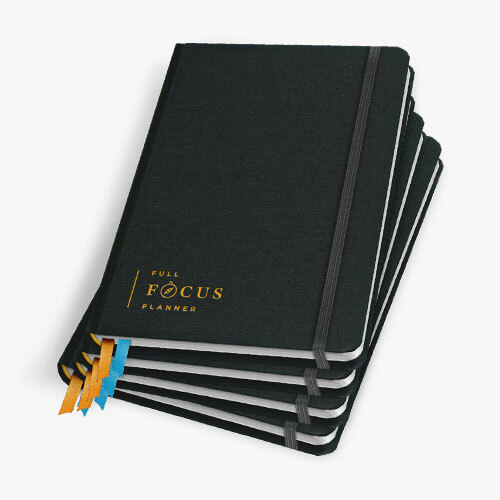 The Full Focus Planner® exists as the perfect intersection of annual goal-setting and daily productivity. Created by leadership expert and bestselling author, Michael Hyatt, the Full Focus Planner® combines the field-tested principles inside 5 Days to Your Best Year Ever® and Free to Focus® online courses to offer a tactical solution for acting on your highest priorities, both day-to-day and year-to-year. 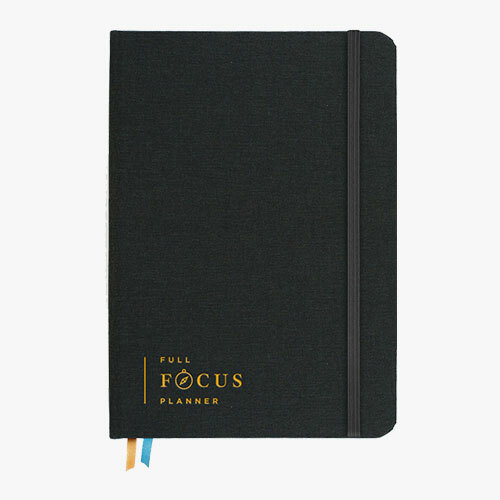 The Full Focus Planner® was built to fuel your high-achieving lifestyle, so you can accomplish your biggest priorities without overwhelm and distraction. The planner that changes lives. Click on each profile to hear their story. Built for a 90-day achievement cycle, the Full Focus Planner® gives you a quarter of a year’s content so you aren’t overwhelmed by planning (and tracking) 12 months at a time. Inside you’ll find the following tools to help you achieve your goals all year long. Set powerful goals with the goal detail pages so you can start the process for achieving them. Keep your big commitments for this quarter in birds-eye view so they never creep up on you. Plan for big events months in advance so you can keep track of your goal achievement for the upcoming quarters as well. Design your picture-perfect week so each week is never a surprise. Organize your day with the Daily Big 3 planning framework and task list so you structure your day to focus on priorities. Optimize your daily performance with routine rituals to keep you on track. Get a glimpse of the week ahead so you can achieve clarity and confidence over what your priorities should be for the upcoming week. Process your last quarter, extract learning lessons, and start planning your achievement for the next quarter. Enhance your daily productivity and goal-setting instantly with our quickstart videos to help you master your use of the planner. Aesthetically pleasing and thoughtfully crafted. Michael Hyatt is the founder and CEO of Michael Hyatt & Company, an online leadership development company helping overwhelmed high achievers win at work and succeed at life. He is the author of Platform: Get Noticed in a Noisy World, a New York Times bestseller, Living Forward, and Your Best Year Ever, both Wall Street Journal and USA Today bestsellers. Formerly the CEO and Chairman of Thomas Nelson Publishers, Michael is an entrepreneur and the creator of several highly successful online courses, including 5 Days to Your Best Year Ever® and Free to Focus®. His popular leadership blog and podcast reach over one million people a month. He and his wife of 40 years, Gail, have five daughters and eight grandchildren. Single planner: Domestic shipping (within the 48 contiguous United States) is a flat rate of $4.99. We only ship single planners to international countries, with the exception of North Korea, Cuba, Iran, North Sudan, and Syria. We unfortunately do not offer international shipping for Annual Subscriptions at this time. Can you ship all 4 planners in my Annual Subscription at one time? Our products are set up so that an annual subscription ships one per quarter and single planners ship all at once. Therefore, if you need multiple planners in one shipment the single planner option would best suit your needs. Since the Full Focus Planner® is built for a 90-day achievement cycle, an annual subscription allows you to get four planners per year. While you only pay once up front each year, you will continue to get a fresh planner every quarter. You can cancel anytime without penalty. This is less expensive and much simpler than ordering single planners each time you need a new one. Like a magazine subscription, your annual planner subscription will renew each year until you cancel. How is shipping charged for an Annual Subscription? As an Annual Subscriber, you will be charged $2.99 every time we ship you a new planner. This means, each quarter, once your new shipment is sent, you will be charged $2.99. When will I receive my first Full Focus Planner®? Most orders are processed for shipment within 24 hours. Delivery times can range from 3-8 days for domestic shipments and up to 14 days for internationals shipments. You will receive tracking details once your order is shipped so you can keep an eye out for delivery! Where can I find the video tutorials that show me how to use the planner? Go here: Full Focus Planner Tutorial Videos to access our video tutorials! This planner is the only one in the market to be accompanied by a series of instructional videos. We are really committed to helping you make the Full Focus Planner® a game-changer for your daily productivity and goal-setting, and we want to be sure you know exactly how to get the most out of each framework. How can I get my planner to lay flat? Some have reported having trouble getting the planner to lay flat. Michael very recently recorded this video, and shared it within the Full Focus Planner® Think Tank on Facebook. It is appropriately titled "How to Get Your Full Focus Planner® to Lay Flat", and we feel that it may help with your experience! Absolutely. 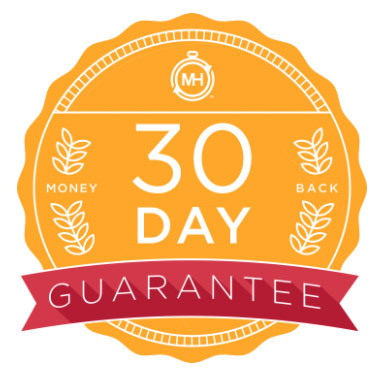 New customers have 30 days from the date of receiving their product to request a refund. To be eligible for a return, your item must be unused and in the same condition that you received it. It must also be in the original packaging. To process your return, please contact support@fullfocusstore.com. This feels a little overwhelming, where is the best place to start? We recommend you start with the Day Pages, particularly the Daily Big 3. The is the fastest way to get momentum quickly and start seeing results almost immediately. You can then learn about the other features of the planner and integrate them into your lifestyle as time allows. The goal is progress, not perfection! What if I’m struggling to get started because I’m afraid I’ll make a mistake? We recommend you try the Pilot Frixion Erasable Gel Pens. These can be found at Amazon by clicking here. They are amazing. If you want a little nicer version, check this one out. Please note, however, that if you leave your planner in the sun and it gets too warm, the ink will disappear. How can I attach a pen to my planner? I’d like to use this system on my device. Can I get a digital version? Will you ever create an app? Research shows that our brains like paper more than screens. We learn better, remember more, process more thoroughly, and understand more fully when we write things down rather than when we type them out. Something about the tactile experience of writing pen-to-paper creates a productive boost for our cognition. In addition, our devices can be distraction machines and focus is the ultimate goal of this planner. Michael loves digital solutions when they’re useful for a higher level of productivity. In terms of releasing an app for this, it’s something we may consider, though it would be further down the road. Right now, we’re convinced that there’s a huge value in analog for this planning tool. What are the specific dimensions and details of the planner? You’ll have 91 daily pages (since it’s made for a 90-day achievement cycle) alongside goal template pages, a ritual planner, weekend optimizer pages, a monthly calendar view, an ideal week template, and pages for weekly and quarterly reviews. The planner has two different colored ribbon markers, an elastic enclosure, lay-flat binding, and high-quality paper. It has a cloth-over-boards finish with an embossed bronze logo on the front. How does this planner incorporate elements from 5 Days to Your Best Year Ever® and Free to Focus®? Do I need to be familiar with those courses to use this planner? What if the planner goes on sale after I purchase? Can I take advantage of the sale price? We are more than happy to honor promotional pricing for all customers who have purchased in the prior 30 days from the start of the current promotion. Our team will issue a partial refund in the amount of the difference between your purchased price, and our sale, and for subscription customers we’ll be sure your future renewals match this special pricing as well. No, we are not currently offering an affiliate program or a referral program for the planner. We hope to offer both of these programs in the future, so please stay tuned for details!